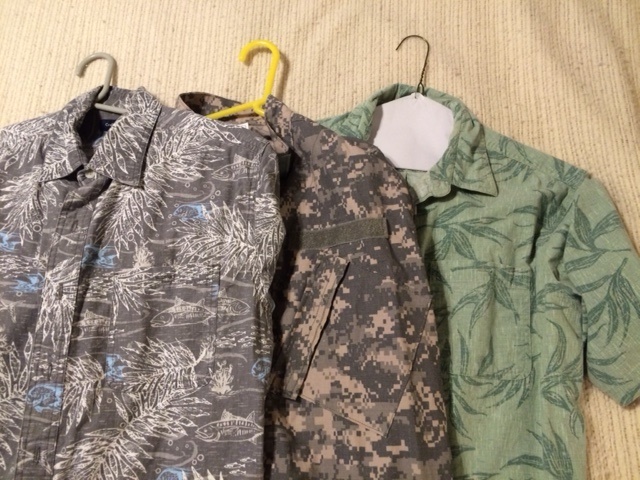 Ever notice many Hawaiian style shirts have camo-like visual qualities? shirt I picked up at Goodwill (for under six bucks). 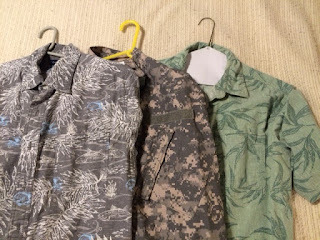 On the downside, Hawaiian shirts don't come in long sleeves, and you'd look just plain silly wearing a Hawaiian shirt with matching trousers (if there were such a thing).